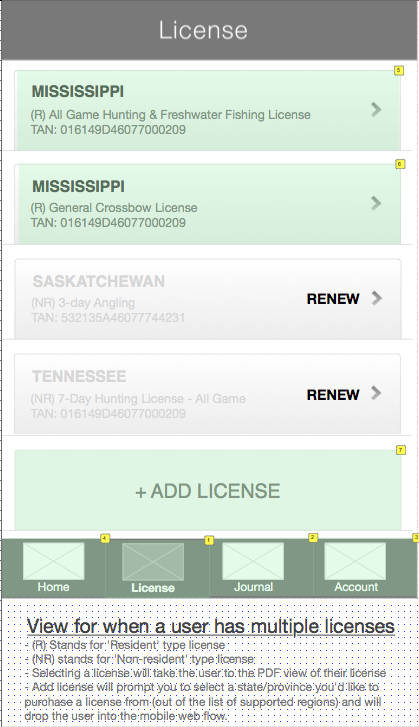 I'd like to think that I know a thing or two about designing cool mobile applications, but hunting or fishing? Nothing. In fact, starting off with a clean, unbiased slate proved to be an advantage for me. 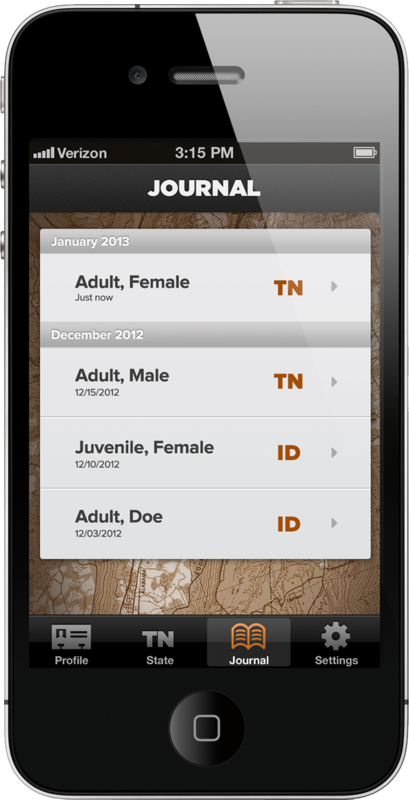 Although the ultimate goal for this application from a business perspective was to supplement the ACTIVE Outdoors consumer portals (ReserveAmerica.com and Recreation.gov), my goal as an experience designer was to create an engaging tool for hunters and anglers that would solve real problems while supporting business needs. I kicked off the design process by engaging with subject-matter experts; interviewing a few sportsmen from Tennessee and California to gain an understanding of their community. 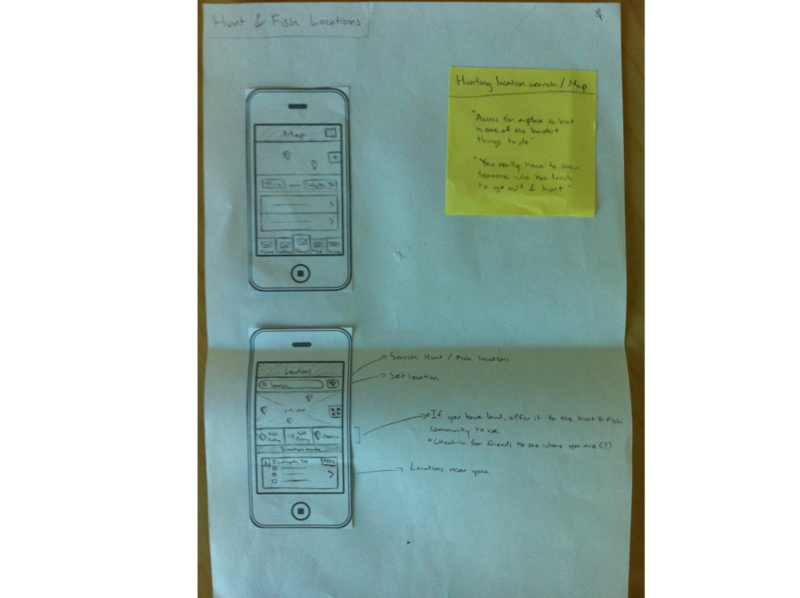 Next, I took what I learned and went from sketching to creating an interactive prototype using Axure. Documentation is a big deal to these sportsmen. Our brains can only remember so much about an experience and more often than not, we retell a story differently from how it actually happened. I've found that these sportsmen love to share, remember and learn from their previous encounters and will often times use a paper journal to document their experiences. 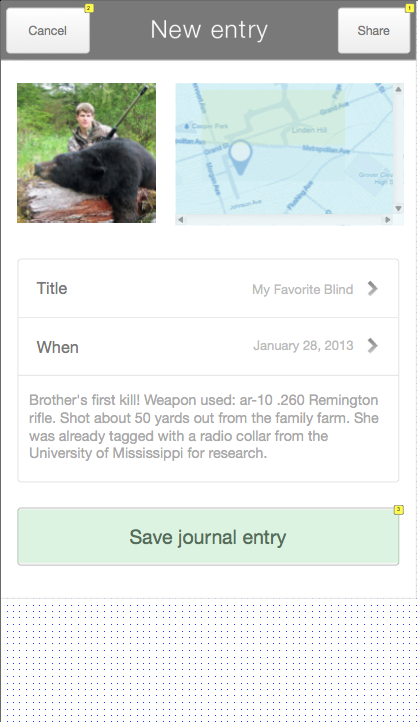 The Journal feature allows a user to quickly document their harvest experience with geotagging, photo documentation, time/date stamp and open text entry. Rather than having to visit a retail Point-of-Sale (POS) to get a license, users can now purchase and organize hunting and fishing licenses digitally through their phone. No cell phone coverage in the wild? The app stores a local PDF copy of the license to display to law enforcement when necessary.